Sam Rohrer Running Against Casey? Later this month, I will outline my next step in promoting constitutional principles and courageous leadership. It’s a road – like others we’ve traveled before- that will be difficult and with an uncertain destination. A former state representative who lost to Tom Corbett in last year’s Republican gubernatorial primary is planning to enter a crowded field of GOP candidates running for U.S. Senate. I’ve always liked Sam Rohrer’s politics. He’s about as close as you can probably get to libertarian in this political climate. But Sam’s Achilles heel, which was shown in the race for Governor, is that he’s a bad fundraiser, and you need to be a good fundraiser to win elections. As much as I might wish this were about principle and restoring liberty, the vast majority of people who vote barely pay attention. As a candidate, you’re a product that is being sold (to voters), and to tell that product, you need to advertise. That costs money. Philadelphia is one of the most expensive media markets in the country, and our media market reaches a lot of GOP voters. That said, we have no one that looks decent currently stepping up to run against Casey, and I’d be willing to give Rohrer a chance. Maybe with the entire GOP apparatus behind him, he can overcome his fundraising inadequacies. The Democrats will dump whatever money they can afford to hold that seat, however, so it’s not going to be an easy race, even if the GOP nominee were a seasoned politician with a statewide record. If Rohrer runs, he’ll be the king of underdogs. We’ll see what he’s made of. Is Rohrer Really the Best GOP (Potential) Candidate Against Casey? I got the same email from Sam today. Him running against Casey makes sense. The current crop of “Republican” Senatorial candidates is weak to say the least. 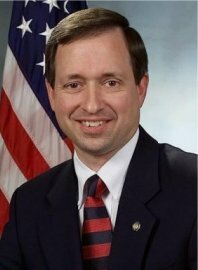 Don’t forget that Sam Rohrer is the one who introduced the Firearms Freedom Act in the PA house. If Sam runs I am behind him 100%. Eh… sponsoring an FFA smacks of pandering. The law itself accomplishes little, because the feds just get to overrule it. The idea itself wouldn’t be bad if the feds were pushing more gun control, but they aren’t right now. Best to save that idea for when we might need to tell the feds to piss off. I’d be more impressed if he had introduced Constitutional Carry, despite the fact I don’t think that has much of a chance to pass either. I’ve met Sam on numerous occasions. He is a true believer in the 2A. The same can’t be said of the other candidates. 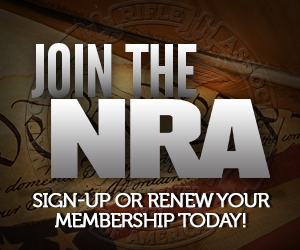 They are the ones pandering when they say that they support gun rights. The final story has yet to be written regarding the FFA. Saying that the Feds will just overrule it is a defeatist attitude. Be of good cheer! I have a 100 dollar check waiting to send!! Go Sam Go!! I think this is going to be an interesting election. Casey has put his name and vote on some odd things, like voting to continue funding ACORN. Corebett was the poll favorite from the start. That primary loss gave Sam statewide name recognition. It’s going to be interesting to see what the polls show both for the primary and general election. I’d expect a lot of out of state money to flow into the Senate race. The Dems desperately want to keep Casey, the useful idiot, in office. The only thing Casey has going for him is election being in 2012 and not 2010 or 2014. He’ll piggy back off the Philly black vote. But, what happens in the middle of the state is going to determine this race. I still think that 50% of the voting Demoncrats think he is still his father….And truly in this case the son is NOT the father. Rohrer is libertarian, and I’m the Dalai Lama. He’s just one more social conservative, stealth BJU graduate who has learned the RKBA rap as part of the de rigueur “conservative” package that we fall for so readily. I didn’t say he was libertarian… but I don’t think the rest of the field is any less so-co than he is. Either way his fundraising is bad enough I don’t give him much of a chance. I’m not a fan of this candidacy. First, I think Rohrer is just like all of the other politicians. Now, because I work in the realm of political reality, this isn’t inherently an insult. I just don’t think that he’s some great conservative guy. His last campaign tried to make him out to be some great small government leader, when he was right on board with the middle-of-the-night pay raises like everyone else when it came down to it. Yes, I realize it was one vote. I also realize that the kind of behavior exhibited in that vote certainly shows that he will fall in line with growing government like most other politicians. He can be someone’s favored candidate, and I have no problem with it. I just get really tired of his talk, especially when his supporters were attacking other conservatives as not being good enough. Now, on to my real response to why I won’t support a Rohrer candidacy – his last campaign shows he’s incompetent at campaigning statewide. Unfortunately, I never actually wrote my issues with him as a campaigner in a post. It was an email conversation with Adam Z. It was a combination of comments on other posts & emails with Adam. So, instead of linking to it, I’ll have to reformat those comments into a post this afternoon. See, we can be a house divided (politically) and still get along.